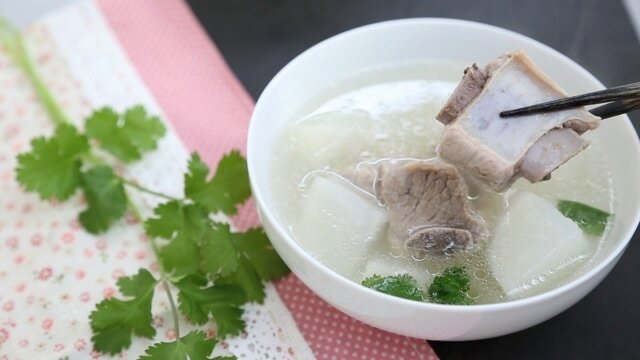 Daikon Soup is one of the staple soups in most Taiwanese home cooked meals. Probably because it's simple to make and daikon radish is a common Asian vegetable, plus you can also use less expensive cuts of pork bones to simmer for the broth. Easy to make and ready in 30-45 minutes, the daikon radish when cooked makes the soup slightly sweet. Grandma would often pair this soup with a few other main dishes and of course served family style with rice. Other variations of this soup can also include adding carrots, tomatoes, and sometimes Chinese herbs. Cook Time = 30-45 min. 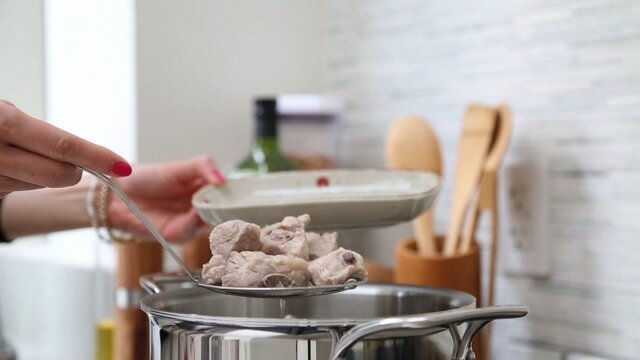 Blanch the pork bones by boiling in water for a few minutes, then discard the water. 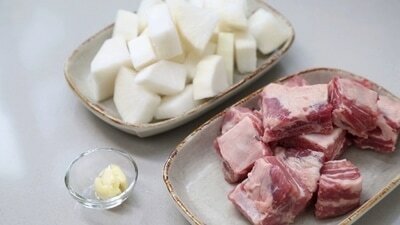 In a clean pot, bring the pork, daikon, garlic and water to a boil and cook for 30-45 mins. or until the daikon is soft. Add salt to taste and optional cilantro for garnish.